Over 57,500 illegal migrants and asylum seekers have arrived in Europe by sea so far this year, compared to 112,375 over the same period last year, the UN Migration Agency said in a paper Tuesday. And as the number of clandestine crossings fell, deaths in the Mediterranean Sea more than halved, falling from 2,240 to 1,111. The significant fall is likely to be partly thanks to Italy’s new, populist government, which is fighting to end illegal crossings and to protect their borders. 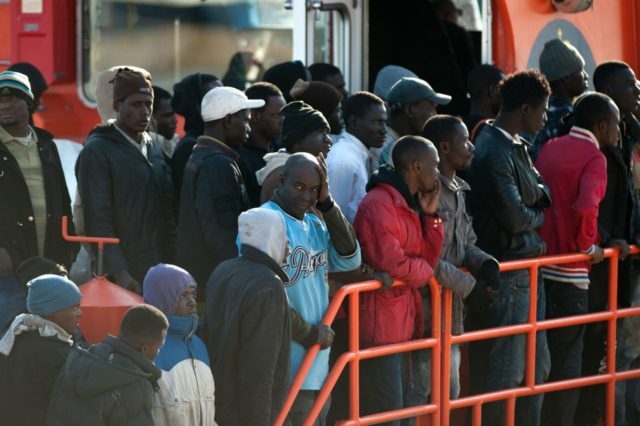 There were just 18,392 migrants arriving in Italy so far this year, 80.6 percent less than the same period last year. However, Spain, which has a new socialist government, has become the new main arrival-by-sea country in the Mediterranean. More than 22,800 migrants have arrived there since the beginning of the year, with 1,866 since the 25th of July alone. This is approximately 16,345 more migrants than arrived in Spain in the same period in 2017 and represents a rise of more than 350 percent when the two periods, just one year apart, are compared. Meanwhile, there were 15,970 arrivals in Greece so far this year, compared to 10,783 in the first part of 2017 – a rise of almost 50 percent. The Italian parliament was dissolved at the end of last year, with the country going to the polls in March, and a populist coalition government taking power in May. Perhaps the best-known member of the new government is hardliner Interior Minister Matteo Salvini of the right-wing League party, who has led the nation to immediately shut off illegal migration, closing ports to pro-migrant charity boats bringing thousands over from just off the African coast. In June, Mr Salvini revealed an immigration reform programme, including more repatriation centres for housing immigrants, reducing arrivals with stricter border control, and speeding up deportations. Spain, meanwhile, formed a new socialist government at the beginning of June after the previous conservative executive was engulfed in a corruption scandal, and quickly offered to take the migrant boats turned away by Italy.